It's time to up your watch game. While classic watches have a special place in our hearts, it's always good to have a couple of 'fun' watches on days you don't have to don a suit and tie. From sophisticated to right-on-trend, here are four watches we think the modern man will love. 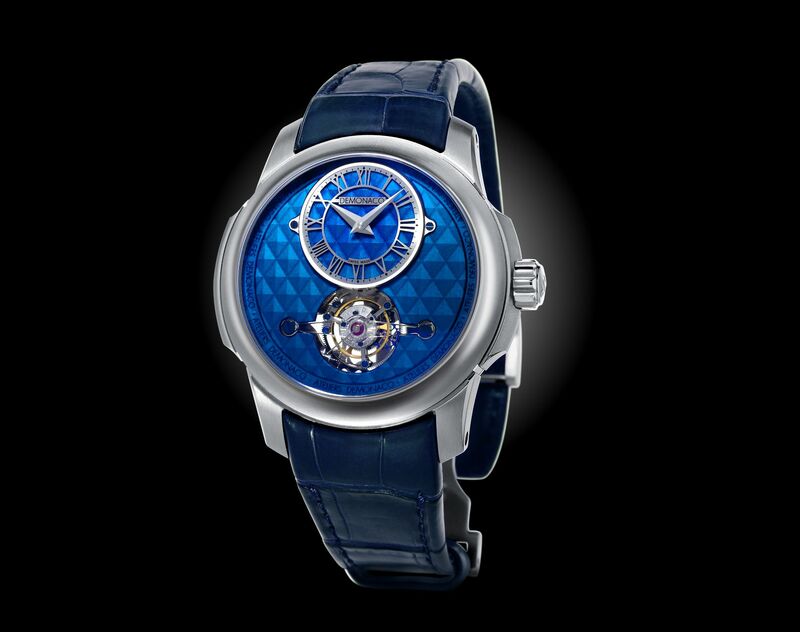 The Ateliers DeMonaco Oculus Titanium Tourbillon puts a spin on a classic design with an unexpected splash of cobalt blue on its dial, which features relief lozenges. The diamond-shaped embellishments add that fashion element on an otherwise sophisticated ticker. With hand pelage decoration on bridges, and a hand-engraved 22 carat gold rotor, this timepiece has an interior that's just as handsome and refined as its exterior. A large stainless steel bezel frames the MAT AG5 Regate timer, lending it an ultra-masculine look. The wearer also has the option of either a sporty red or a slightly laidback blue silicon strap. Couple that with the sporty chronograph function, and the wearer is ready for a relaxing weekend. The Cyrus Klepcys Chronograph watch turns the traditional chronograph into a sleek modern design. Instead of having pushers on the right side of the case, its start/stop and reset pushers flank the case. Which is why it strikes the perfect balance between tradition and innovation. The self-winding chronograph has a 48-hour power reserve and an ergonomic design, making it the ideal pick for the athletes within us. The Synper Two Red features pops of bright crimson on an otherwise full-black watch, exuding a sporty look. The watch features a case made out of 316L stainless steel, a three-hand automatic movement and luminescent hands and numerals.